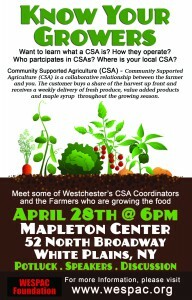 Home › Blogs › April 28th Roundtable on CSAs! 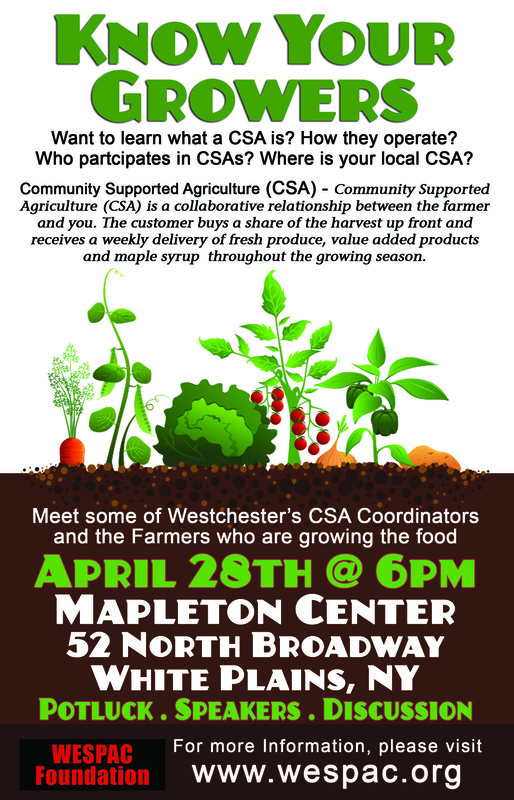 April 28th Roundtable on CSAs! Join us at WESPAC on Monday, April 28th at 6pm for our monthly membership meeting as we invite CSA coordinators from our area to talk about the benefits of CSA membership. Hazon, Lineage Farms, Stonelege, Sweet Freedom Farm and the Wassaic Community Farm will all be represented. Potluck at 6pm, program will start at 6:45pm.